Tag Archives for " Howard Behar "
Leadership is perhaps one of the most unnatural traits of a natural entrepreneur. In fact, I think that people problems sink more organizations that product problems. Innovators are doers and rarely take the time to develop, nurture and teach their people, but those who do see the benefits in culture, teamwork, and productivity. My guest for this week’s episode of the Duct Tape Marketing Podcast is Howard Behar, former President of Starbucks Coffee Company North America and Starbucks Coffee International. He is a renowned business leader, author, speaker, and mentor. Howard and I discuss team leadership and the power of putting people and values first. Howard knows all about effective leadership. He led Starbuck’s domestic business as President of North America, and he became the founding President of Starbucks International opening the very first store outside of North America in Japan. What was it like working for Starbucks while they were still considered a “small business” versus the now enormous enterprise that they are today? What’s the balance of chasing new ideas and innovation and staying focused on priorities? What is the origin of “The Cup” and how do we find our Cup? 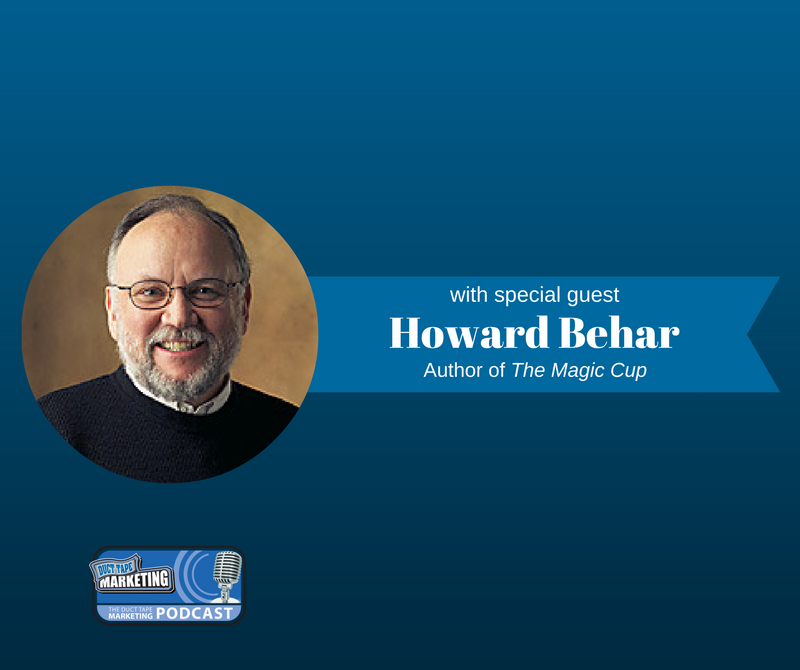 Learn more about Howard Behar and his latest book, The Magic Cup, here.